This is a Guest Post from Firespin Design. Nothing is more fascinating to a child than another child. It is this exact reason why baby dolls are so popular among young girls and boys. With literally thousands of dolls to choose from, it can get overwhelming to a parent looking to buy their child the perfect doll. Fortunately, the following three dolls are fantastic toys that behave in the manner of a real baby, sure to please any child. My Very Real Baby, just as the name implies, acts very real. The doll is designed as a slightly older baby, around toddler age. She comes with real hair that children can brush and style, as oppose to other dolls with plastic or painted on hair. The most recent My Very Real Baby comes with a green juice bar that the doll can consume. After taking a few bites, a green light appears around her mouth, giving the appearance of a messy face. As children wipe away the mess, the green light disappears. Similar features include a red “booboo” appearing and disappearing after the child kisses it, and the baby kissing her mother when a cheek is placed near the babies mouth. 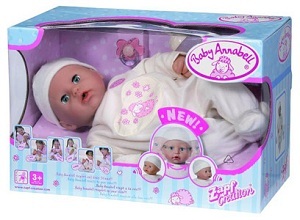 Baby Annabell created by Zapf is one of the few dolls that manages to look like an actual baby without being creepy. The eyes, nose, and facial expression mimics that of a real baby, as does the wrinkles of the skin and even the position the fingers are sculpted into. Features of this doll include realistic sounds, such as cooing or crying. Baby Annabell also has voice recognizing software, allowing the baby to respond happily when your child talks or sings to her. The arms of the doll also move up and down in a similar manner to how a real child would react when it hears it’s mother’s voice. Baby Amour is a soft body doll designed for young children who want to cuddle with their new toy. The doll has eyes that open when she is sitting up, then close automatically when placed in a sleeping position. The fun thing about this doll is that it’s rather large at 20 inches. 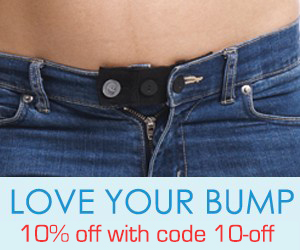 This is because Baby Amour was designed to wear actual baby clothes, made for children 0-3 months. This means you no longer have to worry about spending a ton of cash on custom made items and children also have significantly more choices when picking an outfit. Even better, the real baby clothes adds to the realistic feel of the doll. This was a Guest Post. 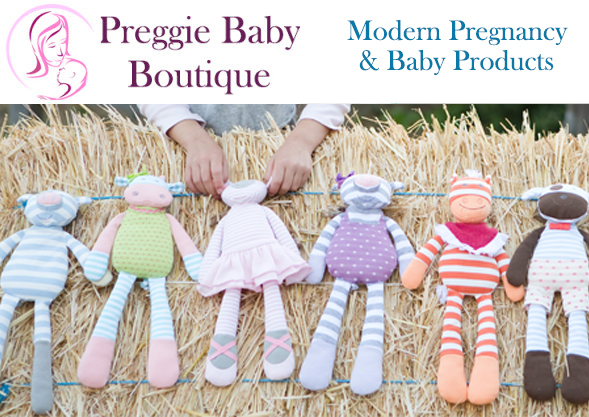 Special thanks and appreciation to Firespin Design for supporting my blog and introducing us to these adorable dolls. Previous post: Jaundice in Newborn Babies: Should You Worry?